Your Katonomist is delighted to return her paws to IPKat. Economics, evidence, biker gangs and terrible puns await. "This [business model patents] is a disaster, a major change that occurred without anybody thinking through the consequences. In my view, it is the single greatest threat to innovation in cyberspace, and I'm extremely sceptical that anyone is going to get it in time." But has the threat realised? Has dodgy expanding patent policy has created negative externalities sufficient to thwart the development of the digital world? Certainly the last 15 years has seen expensive court cases, major tech companies engaged in costly, seemingly endless, spats, but could it just be a zero sum game? A game in which the major winners are lawyers, lobbyists, IP professionals and the odd economist? I'm sure BlackBerry would say IP has created costs, not innovation, although perhaps not. Court cases etc add to the cost of doing business. The need to thwart lawsuits through defensive patenting, licensing and other strategies increases transaction costs. The knock-on effect may be a decrease in the contestability of markets (the degree of free entry and exit of firms in a market). This loss of competition comes as the economies of scale (bigger enjoys relatively lower costs) required to participate in these markets create barriers to entry (obstacles to joining markets) for smaller players. These smaller players, the start-up, unicorns of digital innovation, may be key sources of economic growth. P.S. 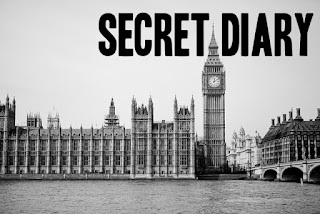 At the risk of disappointing readers hoping for salacious details from inside the UK government, I'm afraid to say that my posts will not be the Secret Diary of Yes, Minister. It would be far too difficult to cross Billie Piper with Sir Humphrey. P.P.S. Keen to read some economic analysis of your favourite IP topic? Please suggest topics. Haven't got a favourite economic topic yet? You will. I think all of these things are true some of the time. I also think that in the long run though you would be hard pressed to find an industry which benefits from economies of scale which is not regulated and so the foreclosure argument is either not a certain thing or is not relevant on the basis that society needs natural monopolies. It might be better to say that in some cases (and for some of the time) larger firms have more efficient and lower cost production and hence can undercut entrants and in some of those cases the potential entrant will not enter, leading to foreclosure. But this is not really a problem to do with patents per se (or if it is then it is why we have them or is a foreseeable consequence of them) but rather the fact that access to capital markets is inefficient. No banker will back you to enter a market which if you persevere in will lead to you expropriating profits from your competitors simply because there are cheaper, easier and better deals to be done (and because the banker is too frightened to use the word "risk" let alone endure it). In that sense however the game is a zero sum game because all you, as the entrant, are doing is expropriating market share - in other words the money is being spent but the question is on who? You are right to say that we cannot definitely answer these questions but we could make a good stab at it if we thought that answering them would do us any good. It is (admittedly in my opinion which, according to some, is not worth much) perhaps because the answers are not likely to be telling or useful that we don't bother to spend resources on worrying about them (except to sell books). What does "defensive patenting" mean here!? I noted that this term confusing for many. Presumably here it means getting some patents patents together ready for a counterstrike against a megacorporation who has a lot of patents. However, defensive patenting should mean for many people just getting a patent to defend your invention and allow investment to come in; it is just normal patenting. The pejorative use here (unnecessary costs are mentioned) and elsewhere is therefore unhelpful to normal folks - it may either put them off by per se being pejorative or encourage the view that patents are just about aggressive licensing. Another problem with the term is it endorses the view that patents only matter in number. However, you cannot decide for yourself what the targeting of your patent is - it only points at what you have invented. So you have no counterstrike unless you invent something that is of interest to your competitor. If you do that, you have contributed, so why is a cross license not fair, or even the goal of being bought up my megacorp, which is popular? So, how about "arsenal patenting"? A further point about the term is that some are confused between it and "defensive publication", which is of course a much cheaper defensive strategy. Not so much used, so patenting presumably has some advantages - wonder what those are! Many thanks for your suggestion, IPdegu, it's now on the list! Again, thanks for your comment Ashley and for opening a new can of worms (I'll add economies of scale, zero-sum and access to capital.) Access to capital markets is certainly a challenge, although, from personal experience, I think bankers are willing to accept quite a bit of risk. Term-inator (great handle, btw), 'defensive patenting' - I suspect this is a terminology difference between economics and law. I refer to patenting to ward-off potential lawsuits or countersue. It's an arms race (counterstrike!! arsenal!) - each side spending more and more without affecting the outcome (zero sum) and output. It's not contributing to the economy and is therefore wasteful expenditure. Will have a look at defensive publication via patenting too. When I was a UK Patent Examiner in the 1970's and 1980's, IBM used to publish a monthly "Technical Disclosure Bulletin" containing details of innovations that they didn't consider worth patenting, to prevent others from doing so. Each volume was abut the size of a large telephone directory (remember them? ), and each page was perforated to facilitate easy removal. Many of them found their way into our search files, and were frequently cited by us in our search reports. I left before the PO moved to Wales, but was told that such non-patent literature in the search files was binned to save space.